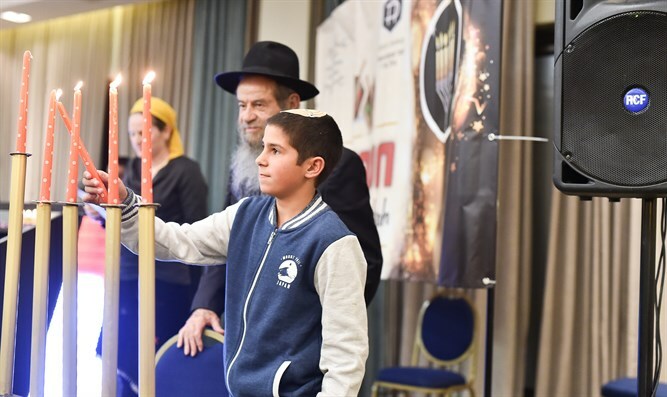 Colel Chabad organizes Hanukkah retreat for bereaved families. The oldest and longest continuously running social services organization in Israel since 1788, Colel Chabad works in a variety of ways to help the families throughout the year. Providing food, clothing, and social services for close to 300 widows and over 600 orphans annually, the program also includes tutors and social workers to help monitor children's education as well as providing career counseling, training, and loans for the parent. The hotel guests were provided with round the clock entertainment – concerts and shows, drumming classes, day trips, art projects, and swimming as well as gifts for the holiday. Now in its 12th year, the number of participants sadly grows each year, particularly with the addition of new families who have been affected by the tragedies of recent months. “Holidays which are defined by joy for most of the country and Jews around the world are often a time of pain for these families as they are forced to look on at the father’s unused menora and the empty place at the table,” says Rabbi Mendy Blau, Israel Director of Colel Chabad. “Getting away through the support of Colel Chabad gives them the chance to escape the home and for the children to relax and enjoy the holiday in this special way."